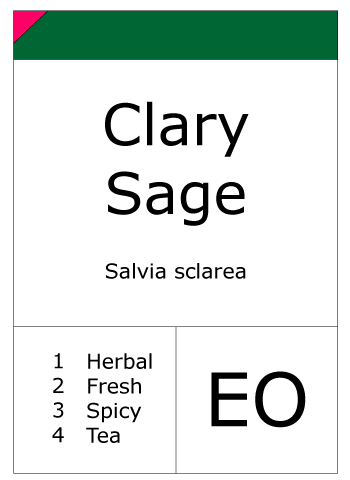 Salvia sclarea, clary, or clary sage, is a biennial or short-lived herbaceous perennial in the genus Salvia. It is native to the northern Mediterranean, along with some areas in north Africa and Central Asia. The plant has a lengthy history as a medicinal herb, and is currently grown for its essential oil. 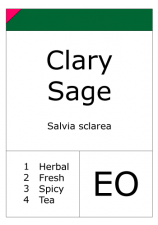 The French, Moroccan and English clary sage are considered of superior quality for perfumery work. S. sclarea reaches 1 to 1.3 ft (0.30 to 0.40 m) in height, with square stems that are covered in hairs. The leaves are approximately 1 ft (0.30 m) long at the base, .5 ft (0.15 m) long higher on the plant. The upper leaf surface is rugose, and covered with glandular hairs. It is native to southern Europe and the Middle East and is cultivated worldwide, especially in the Mediterranean region, Russia, USA, Britain, Morocco and central Europe.